Goldenglue, Keith, and Zeyzal have a chance to fight for starting positions. Zachary “Sneaky” Scuderi, Andy “Smoothie” Ta, and Nicolaj Jensen may be legends on the NA LCS stage, but that doesn’t mean there aren’t other players gunning for their spots on Cloud9. 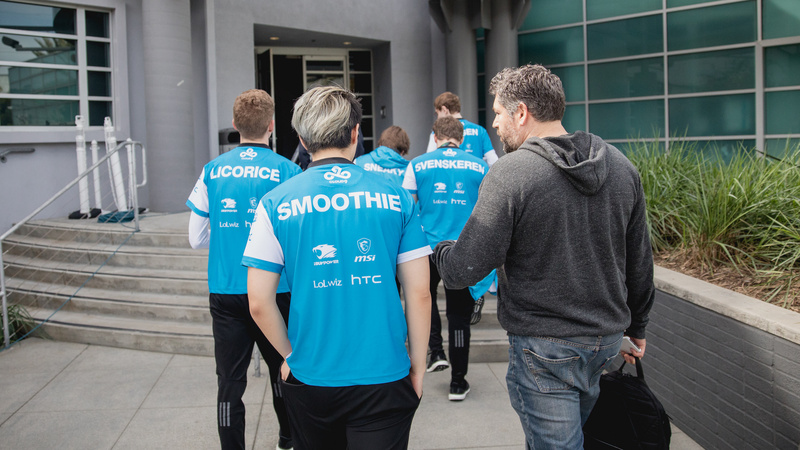 This weekend, for the first week of the NA LCS Summer Split, Cloud9 is subbing the three players out for Yuri “Keith” Jew, Tristan “Zeyzal” Stidam, and Greyson “Goldenglue” Gilmer respectively, according to the team’s announcement today. This may come as a shock to most fans of C9 and of the NA LCS as a whole, but according to coach Bok “Reapered” Han-gyu, the three academy players have been outperforming their LCS counterparts recently, and they’re hungry for a shot at starting positions. Week one of the Summer Split will be their first shot. This means that the starting roster will consist of Keith and Zeyzal in the bot lane, Goldenglue mid, Dennis “Svenskeren” Johnsen in the jungle, and top lane Eric “Licorice” Ritchie. Aside from Svenskeren, this squad is largely inexperienced compared to the original starting roster, as well as most other teams in the league. One of the original goals of the Academy League was to help LCS teams develop competitive, 10-man rosters with active and frequent substitutions for certain strategies and against certain teams. Although subbing out their three historically best players may seem extreme, this move could also be seen as C9 putting more faith in their Academy roster than any other org. If that is truly the goal for the future of the Academy, this is a necessary first step. C9’s first game with three Academy players in tow will be this Saturday at 6pm CT against Clutch Gaming.